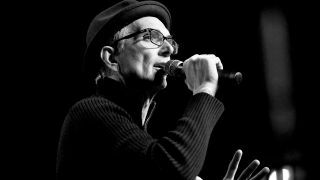 Everclear vocalist and guitarist Art Alexakis has revealed that he’s been diagnosed with multiple sclerosis. He reports he was initially told three years ago after he began to feel numbness in his arm following a car accident. After undergoing an MRI, he was then sent to a neurologist and underwent further MRIs, a spinal tap and had more than 50 blood tests which revealed he had a form of multiple sclerosis which he discovered he'd had for the last 10-20 years. In a statement on the band’s website, Alexakis adds: “The more I found out about MS, the more a lot of things started making sense. It explains why I have had balance and gait problems for the last 10 years, it helps explain why I have had a higher sensitivity to heat and cold, and why I don’t have the energy, vigour, and razor-sharp memory I had 10 years ago. I thought it was just me getting older. “It’s been almost three years since that diagnosis, and MS has become another part of my life. I have done amazing things in that time – touring four full tours with Everclear, in addition to another 250 plus shows all around the world, and I’m still going strong. Alexakis says he wanted to be more public about his condition because he’s heard people speculating that he’s been drinking or on drugs “because they have seen me look unsteady on stage or around town." Alexakis reports that he’s currently finishing his first solo album titled Sun Songs which should be released sometime this summer. Everclear’s most recent album was 2015’s Black Is The New Black.